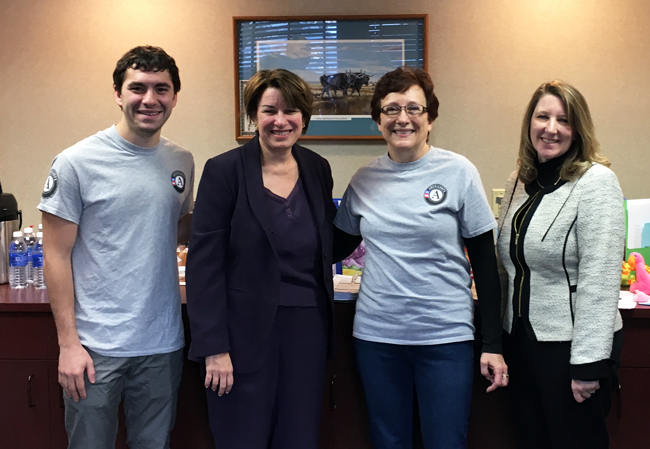 OWATONNA, Minn., February 25, 2016 - Southern Minnesota Initiative Foundation's (SMIF) AmeriCorps LEAP (Learning Early Achieves Potential) Initiative is seeking qualified candidates to fill 20 FTE positions. AmeriCorps LEAP members serve in early childhood care settings and work with children on social-emotional skill development to help southern Minnesota preschoolers become better prepared to enter kindergarten. 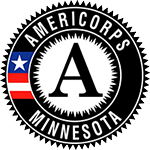 The 2016-17 AmeriCorps LEAP Initiative service term is an 11-month commitment beginning with an orientation mid-August and ending July 15, 2017. In addition to focusing on building social-emotional learning skills to prepare children for kindergarten readiness, the LEAP program also works to promote routine reading at home. All applicants receive a living allowance and Segal education award ($5,775 for FTE members and $2,887.50 for PTE members) that can be used to pay off student loans or tuition and books costs at local colleges. A health care or child care benefit is also available if needed. LEAP participants will be trained prior to site engagement during a three-day orientation retreat in August. 1. Experience life-changing growth while earning funds for college education and/or paying off student loan debt. 2. Make a difference by giving preschool children social-emotional support and helping them develop critical skills for Kindergarten success. 3. Developing professional and personal leadership skills that will last a lifetime. "Not only are there countless statistics that show why early childhood investments are a good long-term payoff - higher college graduation rates, reduced human services costs long-term, etc. - the benefits of working with kids early on social-emotional skills is intuitive," said former AmeriCorps LEAP member Bruce Boyce. "Getting to witness kids socially and emotionally develop is very gratifying." Currently, there are 80,000 AmeriCorps members serving across the nation. Applications are due July 1, 2016. Candidate interviews are in process, so applicants are encouraged to apply early. To learn more about requirements, member duties, benefits, and how to apply, visit the application link at www.smifoundation.org or call 507-455-3215.